What will Nasty Gal’s Santa Monica location be like? Santa Monica has a completely different vibe [than West Hollywood]. It’s not the same neighborhood; it’s not the same clientele. The Santa Monica location is a lot larger—close to 10,000 square feet—so there’s going to be a lot more products offered, and an expanded design. The ceiling height is a lot taller, too. Melrose is more like a jewel box. Clear walkways will lead shoppers through the different branding experiences, and there will be central cage-like gathering areas where special items are displayed. The Melrose store has one-way mirror glass in the fitting rooms so you can see out but no one can see in, and deep blue carpeting that gives off a boudoir feel. Both are repeated in Santa Monica. The Santa Monica store will also have a proprietary shoe salon, which is nice because shoes is an area of particular importance for Nasty Gal. Did the location play into the store’s design? 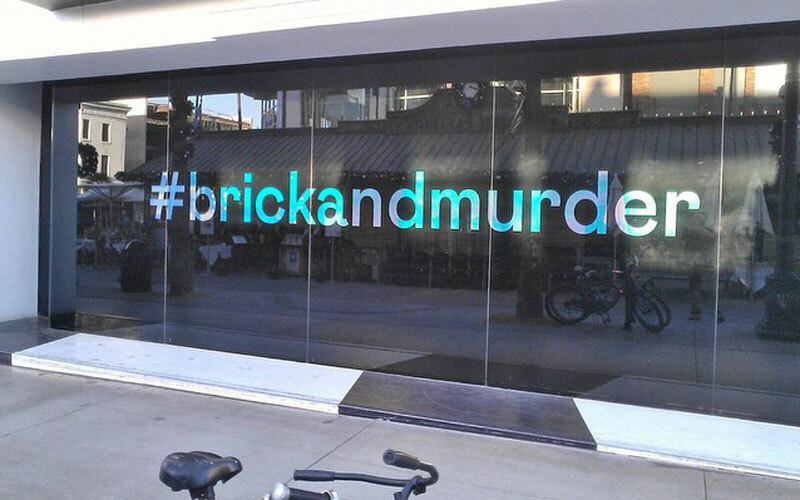 The windows in Santa Monica will play a larger role in distinguishing the brand from other stores on the street. On Melrose, it’s more of a typical window situation (you can see inside the store and there are displays). The store’s palette will be neutral, or at least as neutral as we think a brand like Nasty Gal should be, to cater to the products. Santa Monica has more red tape [than West Hollywood], but I wouldn’t say there were any difficulties. Sophia and I had a lot of synergy. She trusted our ability to design to the aspirations of Nasty Gal and what that should be. It was a new thing for us because we’ve never really worked with a high-street brand that has fashion ambitions, and it was really nice that she was so trusting. Were you already thinking about the Santa Monica location when you were designing the Melrose location? Or are you now expanding on what you had previously designed? We basically designed them concurrently. We were thinking that they would have the same branding language, so that the Nasty Gal brand could live on and can be scaled up or down depending on its application. Which features of the Santa Monica store are your favorites? I really love the fitting room areas. I think they’re really beautiful and elegant. They make you want to spend time there, and that’s important to a brand.